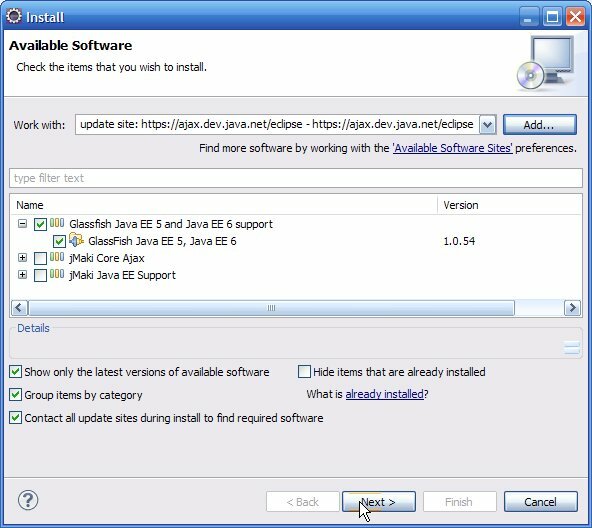 Go to "Help>Install New Software..." then press "Add" button. 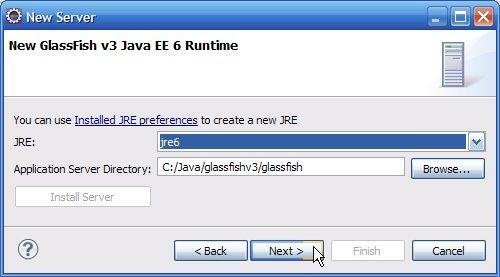 Then, set the location field to "http://ajax.java.net/eclipse/" and define a name(optional). 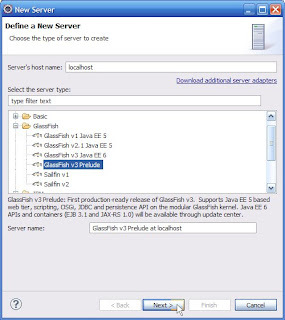 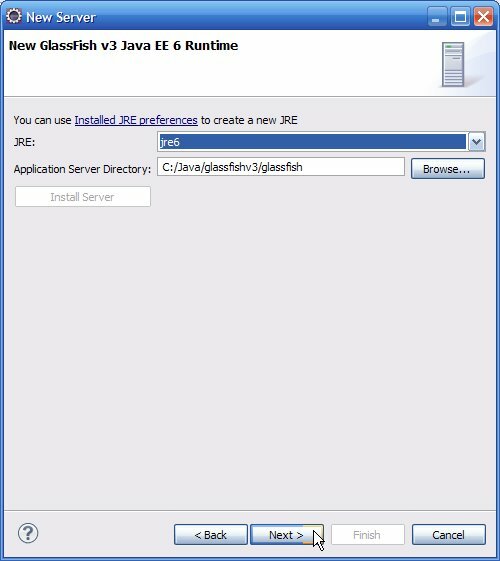 First of all, select "Show only the latest versions of available software" in order to select the latest version of plugin; then select the checkbox of "Glassfish Java EE 5 and Java EE 6 support". 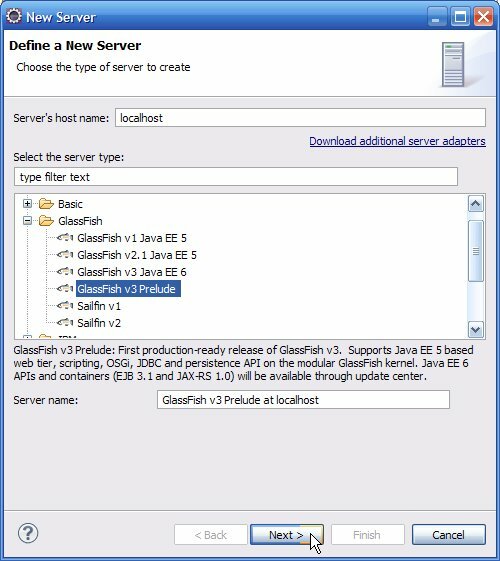 Then, press "Next" button, on the next menu. 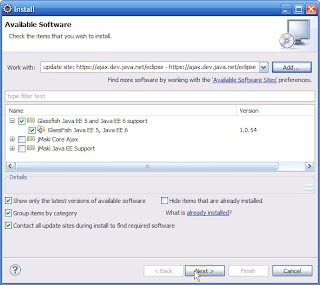 Finally, select "I accept the terms..." button, press "Finish" to proceed installation. 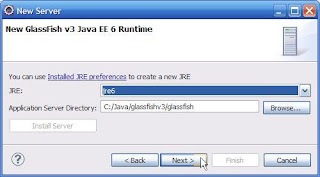 Restart your eclipse with clean attribute e.g. 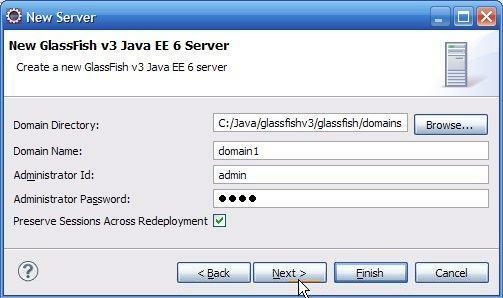 "C:\eclipse\eclipse.exe -clean"
Then, make your own administration settings with your admin id and password. 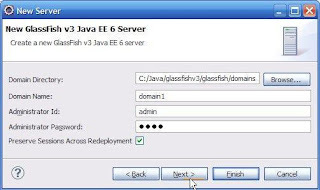 You SHOULD check "Preserve Sessions Across Redeployment" to update the application content faster.